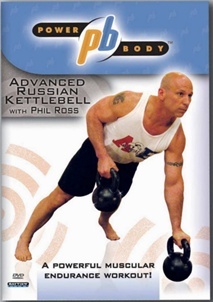 Phil Ross' name is synonymous with Martial Arts and Fitness and is known as the area's Kettlebell King. He has successfully competed on the National Level in Submission Fighting, Kickboxing, Full Contact & Point Karate, Taekwondo and Olympic Style Wrestling. He has also held several titles in Bodybuilding and Powerlifting. More important than his personal accomplishments are the many benefits that his students have gained. A multitude of very accomplished individuals that have trained and continue to train with Phil Ross; The US Navy SEALs, UFC Fighters, Martial Arts School Owners, Professional Fighters, FBI Agents, DEA Agents, Police Officers, US Marines, Professional Athletes, Doctors, Attorneys, Educators, Students with Special Needs, Computer Programmers, Wall Street moguls, moms, dads, not to mention the thousands of children trained over the years. His training methods have produced champions in the sports of Brazilian Jiu Jitsu, Mixed Martial Arts, Karate, Kickboxing, both Collegiate and Olympic style wrestling, Track and Field, Lacrosse, Football, Volleyball, Golf, Baseball, Hockey, Tennis and Soccer, to name a few. Owner/Operator of American Eagle MMA since 1988. The area's first Mixed Martial Arts Academy. Founded X-cel Fitness Professionals in 2003. Embarked on his Kettlebell Journey in 2006, began the migration from bodybuilding, powerlifting and other strength and conditioning methods. Became part of the RKC Family in October 2007 when he received his Level 1 Instructor Certification. 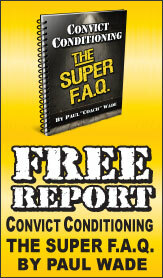 Advanced Kettlebell Workout video released 2008. Achieved Level 2 RKC Certification June of 2008. Appointed RKC Team Leader in March of 2010. Attained CK-FMS Certification May of 2010. 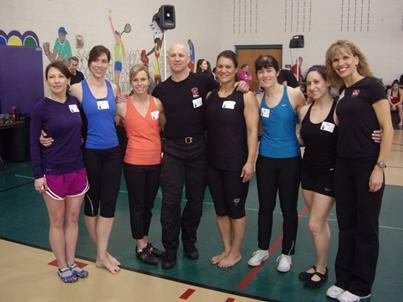 Kettlebell Basics Manual and Workshop approved for CEU's for NASM Trainers, March 2011. The BodyBell Method is a commonsense approach to strength, fitness, mobility and longevity. The system is based primarily upon RKC Hard Style Kettlebell training, calisthenics, suspension, moblity and plyometic exercises. Classes are conducted on a daily basis and the focus of each class is rotated between Strength, Endurance, Balance, V02, Powerdure and other specialty workouts.